The Tibor de Nagy Gallery is proud to present an exhibition of new painting completed over the last three years. The exhibition marks the artist’s twentieth with the gallery, since her first in 1952. The exhibition will comprise of small and medium sized paintings that continue her focus on still life, views from her Greenwich village studio, and the Long Island landscape. Included among the new paintings are two that appropriate images by Watteau and Titian, artists Freilicher has long admired and that have made “appearances” in her paintings over the years. 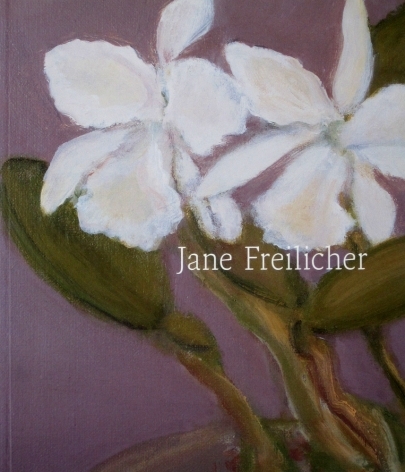 Like any great artist, Jane Freilicher has always followed her instincts, rather than popular trends, to create paintings that are masterful, invigorating and fresh. During periods in the twentieth century when figurative painting seemed passé, Ms. Freilicher painted flowers in her window, landscapes, and figures that captured her own view of the world….Go around to Chelsea today to look at paintings, and you will see how Freilicher is not only ahead of her time, but also part of today’s artistic “conversation.” To many artists born within the last forty years, she is a role model… In Freilicher’s paintings, each element, derived from reality but painted into a fiction, becomes part of a perfect world: refined, precious, and jewel-like. 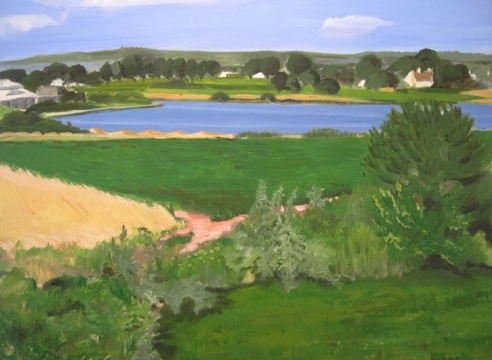 The artist’s work has been exhibited and collected widely throughout the United States. Her paintings are included in major museum collections, including the Museum of Modern Art, the Whitney Museum of American Art, the Metropolitan Museum of Art, and the Cleveland Museum of Art. Her work has been the subject of numerous gallery and museum exhibitions, and was included in the Whitney Biennial in 1955 (then the annual), 1972, and most recently in 1995, attesting to the timelessness and continued relevancy of her art and vision. In 2004 a monograph on the artist’s work and career by Klaus Kertess with essays by Thomas Nozkowski and John Ashbery was published by Harry N. Abrams, Inc. In 2005 she won the American Academy of Arts and Letter’s Gold Medal in Painting, its highest honor. Catalogue Available with essays by Stephen Westfall and Keith Mayerson.